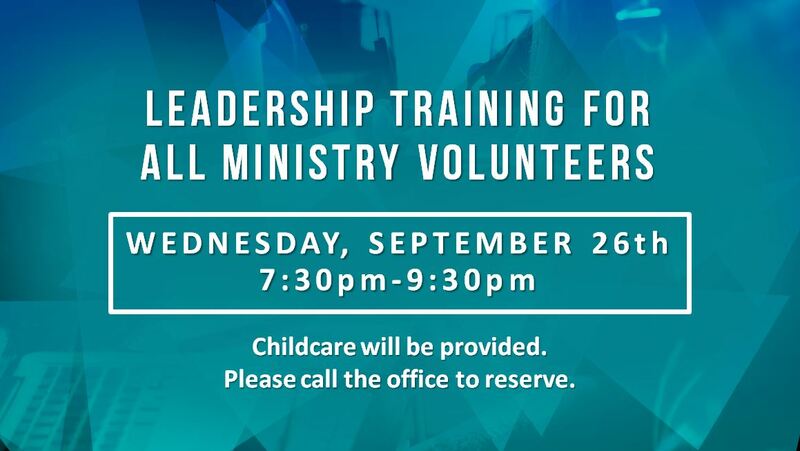 This WEDNESDAY, SEPTEMBER 26th from 7:30pm to 9:30pm at The Cityline Church, we invite all ministry volunteers for training. If you have not done so, call the office to RSVP and request childcare. We are looking forward to seeing everyone there!